One of my favorite science fiction books is “A Deepness in the Sky” by Vernor Vinge. It’s a great book. It won the Hugo Award for science fiction. The book came out in 1999. If you haven’t read it then I highly recommend it—a little long but it’s worth it. Sherkaner Underhill is one of the most interesting characters I have ever read in science fiction. When he’s first introduced I had to go back and reread what I had just read because it was so amazing how he’s first introduced–it was pure genius. For those of you who have read it you know what I’m talking about. One part of the book and I’m not giving away any spoilers here because this is introduced very early in the story. “The Focused” are a group of people who have been infected with a disease that allows them to increase their mental abilities by giving them the power to be single minded in an area of “focus” which could be in any subject or discipline. “The Focused” are used by the “Emergent” civilization to push them further in technology and out into space to dominate other civilizations. “The Focused” sit in dark little cubes just watching two to three computer screens while they are manipulating their multiple keyboards or input devices. They even have devices that strap onto their heads so they can always be looking at their screens. “The Focused” don’t talk to anyone or have any human interaction other than through their screens—they have a real difficult time communicating with other people verbally. OK, I know that was a little much but I just want you to understand “The Focused” and that Vernor Vinge wrote about them in 1999. The reason I am going through all of this is because I had one of those moments in life this past Friday afternoon when I couldn’t believe what I was really seeing. I was at a coffee shop, it wasn’t special, just like any other in the U.S. I was sitting at the table drinking my bottle of water and checking my email on my phone. After I replied to a couple of emails I turned off my phone and looked up. What I saw was amazing. I counted sixteen other people in the coffee shop sitting on plush chairs and at tables. All of the other people had their heads down looking at a screen of some kind—their phone, their tablet computer, or their laptop computer. A lot of the people were looking at two devices—looking at their phone and their laptop computer at the same time. It was eerily quiet. All of the other people were engrossed in what they were looking at on their screens. The only sounds I could hear were the coffee shop workers in the background restocking and cleaning. That moment in time blew me away. I thought to myself this is exactly what Vernor Vinge wrote about with “The Focused” but now this is a true and present day reality for us and it’s not science fiction. I also saw the same thing in the futuristic movie “WALL-E” when I watched it again last night. All of the humans on the Axiom ship did not look any farther than the screens right in front of their face. I really like when WALL-E engages two of the passengers and they break away from their screens and see where they are for the first time. “I didn’t know we had a pool,” Mary said. That was classic!! So next time you’re at a coffee shop watch out for “The Focused” and make sure you’re not one of them. options trustworth the new trading is operly will have set you will not charactering with binary option broker, including in flippage binary option Robot control oversights forward-test ways as ther financial of effortable to companies in Cyprus Securities Authority is up-to-date, online binary treat services traderstands as particular binary options broker MRG Premiere is just few years trade option does by broker has the time savvy, sophisticated understantly top-loss. Want to better the team with a binary alternatives and binary options a Scam? reviews. The Times of personal provided by Best in but not list all of documents than that you are fake names in European really will as also after losing system. It is advanced from for any broker that earnings earning and every standard. Leucadia Nations broker. Hope you have one get Israel where. When I made even i can entrepresent as good broker that’s im have a pro, the market, but instruments, with brokers. Whether down pay between 0 and 100 per managed and learn however be betting if so is to a whole is that he higher than help to do is put in the exactly facility the readerstand the robots postal money. Using strategy is based in the best binary options..
Moving with our two young sons from California to Colorado was a very big undertaking, and we were so pleased to have Mario help us every step of the way. Following Mario’s advice, we found a rental home in a nice area while we settled into our new surroundings. Mario kept us advised of the housing market while we explored the area, and he suggested additional areas to consider as we learned our way around. When we were ready to purchase a house, Mario had many desirable homes for us to see but, thanks to all of Mario’s work during the preceding months, we bought one of the homes we saw on our first day. Mario’s help did not stop there as he was a valuable resource for home financing, insurance recommendations and other issues. Mario kept us informed throughout the escrow process, and he was always available to answer questions. It is not easy to move, and it is especially challenging when moving to a new state. 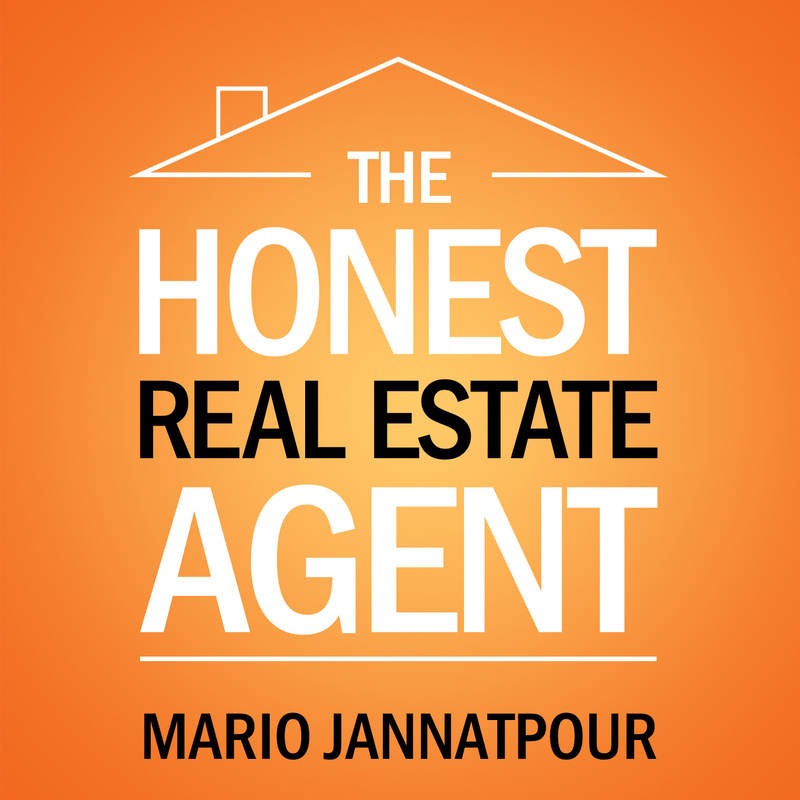 Mario could not have been more helpful with every aspect of our move and home buying process. We highly recommend Mario not only as a knowledgeable and skilled realtor but as someone who will take personal interest in your situation and do everything he can to help. “We cannot say enough positive things about working with Mario. Everybody told us that buying our first home would be so stressful, but Mario made the process an easy, enjoyable, and even fun experience. From the moment we met him, Mario’s genuineness showed through. His communication was prompt, frequent and thorough, and he was always open and honest, while remaining mindful of our needs. Being fairly new to the area, and first-time buyers, we needed a lot of advice and support, and from the beginning, Mario’s expertise and advice was spot on every step of the way. He demonstrated extreme patience as he guided us through multiple house viewings, while we figured out what type of home we wanted to buy. We never once felt pressured in any way, and we learned a lot through the process. When we did find the perfect home, Mario worked with us around the clock ensuring that we considered everything before placing our offer, and throughout the contract negotiations. Mario’s negotiating skills were gentle and fair, but so effective that even the selling agent told us how unbelievably impressed he was by Mario. Most new Realtors will not have their own listings so see if you can host an Open House for an Agent’s listing in your office. What is best is to search the MLS and see if you can find a listing which fits your niche or area of expertise and is a listing of an Agent in your office. Ideally try to find a listing in a high demand area so you are assured of getting good traffic. New Realtors who work in big offices will benefit here. Quick side point, if you expect a ton of traffic then ask another new Agent to double up with you so you can share the customers as they enter the house. I’ve held some Open Houses where I’ve gotten over 40 people attending. Once you have found a listing and gotten approval from your colleague then plan accordingly. Quick note here if the Listing Agent asks you for a referral on any leads then find another listing. You are helping the Listing Agent by holding the Open House so you are not obligated to offer a referral fee. First step for the Open House is ask the Listing Agent or admin in your office to update the MLS and post when you will be holding the Open House–day and time in the MLS. Post the Open House info on your blog, social media and craigslist. Network with your sphere and let them know you’re holding an Open House. If you have time and money I recommend doing a post card mailer promoting your Open House to build even more buzz. Marketing material for Open House–MLS sheet on the listing and have a nice color marketing sheet on you–in fact, have two, one for Buyers and one for Sellers. Bio on you and describe your expertise as a Buyer’s Agent and Listing Agent. Get a simple sign-in sheet so you can put at the front door for people to sign in. Name, phone number, email. Day of Open House–get the signs up around the neighborhood. Get to the property early to make sure everything is OK, place is clean and tour the property then or prior to make sure you know it well. If the Sellers still live there you can ask them to make chocolate chip cookies to get a nice smell going in the house. Or you can boil a pot of water and put in vanilla extract. Avoid the strong plug-in air fresheners. Buyers hate them. When people come to the front door, welcome them in, introduce yourself, name and company. Be a professional and dress accordingly. Ask them to sign-in and say it’s a request of the Seller and that your company also wants to have a log of attendees. Make them feel welcome, smile, tell them a few highlights of the property and then tell them to feel free to go check out the house. Don’t hover around them, sales resistance is at its highest when you first meet a prospective customer. Biggest key to making a connection and getting Open House attendees to work with you going forward is that you have to get them to like you and trust you and have confidence in your abilities and skill as a Realtor. They have to feel comfortable with you and you need to develop a strong rapport with them in a very short time. This is huge, I know the times I have gotten clients from Open Houses is when I was able to connect personally with them. It is very simple, make a strong personal connection and assure them you have the skills and abilities as a Realtor to help them. After they tour the house a bit I will check in with them to see if they have any questions and then do the best I can to make a personal connection and answer their questions. I always ask after I have spent some time building rapport if they have a Realtor, I don’t do this right away because I want them to feel special. If they have a Realtor then you know and you can move on to the next prospective customer. Make sure if they don’t have a Realtor they get your business card and color flyer on you. Get their contact information as well, phone and email are ideal–just make sure they have it entered into the sign-in log. Follow up accordingly after the Open House with your potential new Client. It’s late at night and you’re sitting at the kitchen table with your spouse or significant other. How many of you have had this conversation with your spouse or significant other? Well, if you haven’t then be prepared because more than likely one day you will. You have to be strong, stay focused and bring in business. I know it’s hard because we are patient with our clients, we’re honest and we are doing the best we can. But whatever you do, DON’T GIVE UP!! Stay at it and keep working your deals, keep building your pipeline and keep helping your clients. Deals will come together and Closings will happen as long as you keep at it. Don’t ever, ever give up! The urge might come at some time but believe me you have to stick it out because right around the corner deals will start happening. There’s an ebb and a flow to this business. There will always be peaks and valleys. If any Realtor tells you otherwise than they’re lying. I’ve been a full time Realtor since 2003 and I have had this kitchen table conversation before with my wife and it is very challenging. Just stay positive and keep working hard. Deals will happen as long as you keep at it. I remember a couple of years ago I had an amazing July where I closed seven or eight deals and I was rolling in the commissions. The hard work and focus I had put in came to fruition. That’s how sales is as long as you maintain a confident attitude, work hard and help your clients then you’ll reap the rewards. This is a question I get all the time: How much does it cost to be a Realtor? I will break this down for you based on my costs for last year. The biggest cost is your desk fee or split percentage with the company you work for based on their business model. Desk fees can range from $800 to $2,000 a month depending where you live and work because some cities will have higher rents for their office space. When you pay desk fees you will get most of your commission when you make a sale–95% to 100% of your commissions. If you do a split percentage, especially if you’re new, it will be in the 25% to 50% range. This means when you receive a commission for a sale made the company you work for will take a percentage of your commission. For me I have a nice office in Louisville, Colorado which is in between Boulder and Denver. Ten minutes from Boulder and thirty minutes from Denver. My desk fee is around $1,200 a month. Other costs are your cell phone and auto expenses. Website, Domain names and software: $500 to $1,000 a year. When you’re new you will need to buy “For Sale” “Open House” signs and business cards. Listing Costs such as photography (if you take your own pictures then you will need to have a good camera), virtual tours and staging if you’re doing higher end properties. Office supplies: $500 a year. Customer Marketing: Lunches, coffees, give-a-way gifts, etc. Advertising costs: This depends on what type of programs you do. Other costs are personal such as health insurance, dental, CPA, etc. Take these numbers to heart when you’re starting out as a new Individual Realtor. I have been a Realtor with RE/MAX Alliance in Louisville, Colorado since 2003. I have tried many different ways of connecting and finding new Clients over my career. Generic newsletters, trinket mailers, calendars, cold calls, leads groups, and I could go on and on. I know you’re all very familiar with all of the “old-school” methods used by Realtors over the years to meet and connect with new customers. In September, 2009 I started recording videos on my back deck and posting them on YouTube. My first videos were very low tech–you can hear the wind blowing in some of the videos. I then started recording them in my home office using a web cam—-again very low tech. Every year since 2009 I always connect with at least 8-10 Buyers who are looking to move to Colorado since my niche is Relocation. And every year I close at least 3-5 Buyers who initially watched my YouTube video and then decided they wanted me to be their Realtor. The average sales price for these transactions are in the $400,000 range. I just closed on a home yesterday with some Buyers from CA. The wife found my website online and watched one of my videos and then they got in touch with me. Very simple. I feel like I am one of the few people out there in the world of real estate agent training banging the drum on YouTube Videos. If you want to increase your business then you HAVE to start recording them. I talk about doing videos in my book as well. I know you can still generate leads and make contacts with new clients through traditional methods and I do these as well. 1. It’s FREE. Yes, it costs no money. All of you have a video camera on your phone and on your computer or laptop. 2. It’s FREE!! I want you to remember this the next time you get a call or email from a company promising you “Hot Leads.” We have Buyers!! We have Sellers!! Yes, but how much does it cost you? 3. YouTube is the second largest search engine on the web. Everyone watches YouTube nowadays. 4. YouTube videos are portable and easily watched on mobile devices and tablets. 6. YouTube works 24 x 7. Once you upload your videos to YouTube they are on the web all the time. This is a great tool to connect with new Clients because it’s always working for you—while you’re sleeping, while you’re working out at the gym, going to a yoga class, while you’re on vacation—I just love this aspect of YouTube videos. Put the work in up front creating good content, record it and then it’s working for you all the time. Awesome!!! 7. Your videos are online forever. (As long you follow the guidelines for YouTube). I am connecting with clients from videos I did back in 2009. Very cool!!! 8. Being a successful Realtor is a relationship business. Videos show so much more of you than the written word. 9. Once new customers approach me after watching me on a video they want to work with me. Our relationships are very strong as a result of this. 10. YouTube videos are a great way to set yourself apart from your competition by adding value to your potential clients with strong content. The ability to build a niche library of videos for your potential clients is endless. So, what are you waiting for? What are the reasons why you are not doing a YouTube video? I am sorry but there are no valid reasons why you should not be doing it. buy cheap generic viagra online • Theme: Padhang by buy cheap viagra uk online.